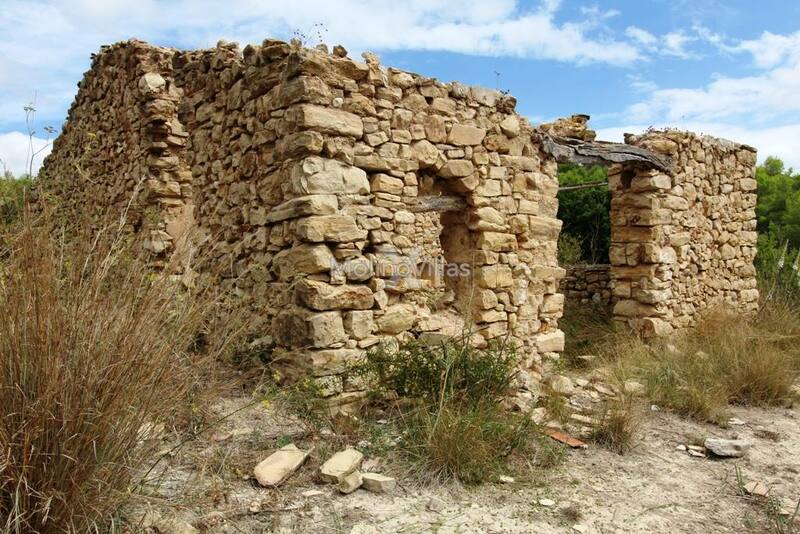 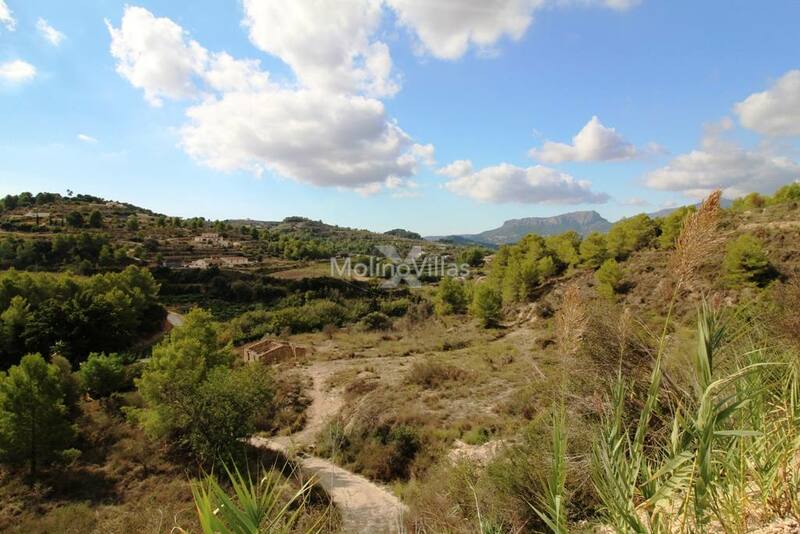 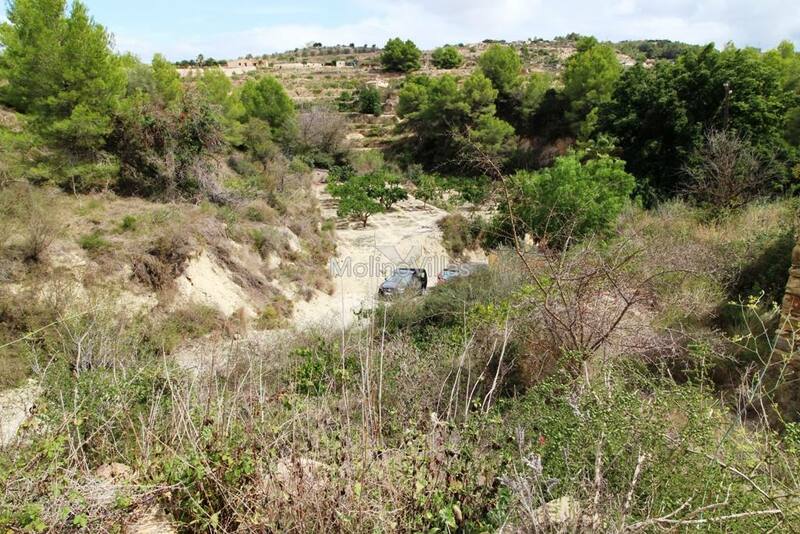 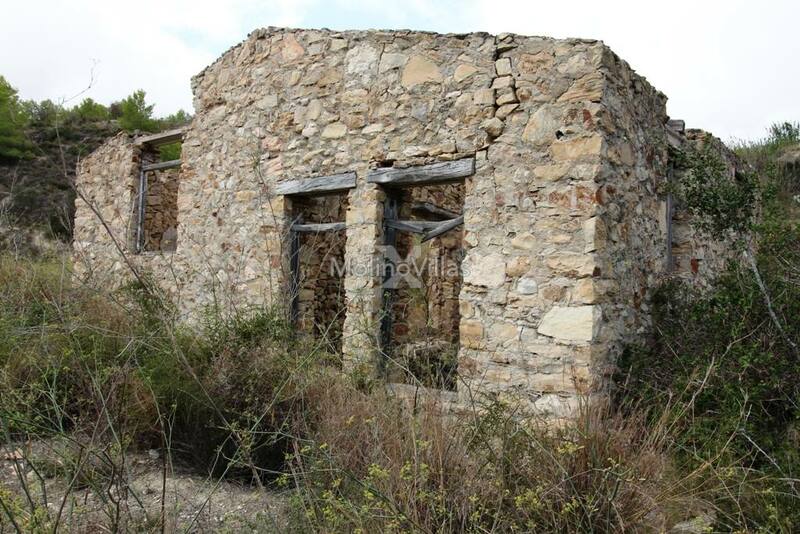 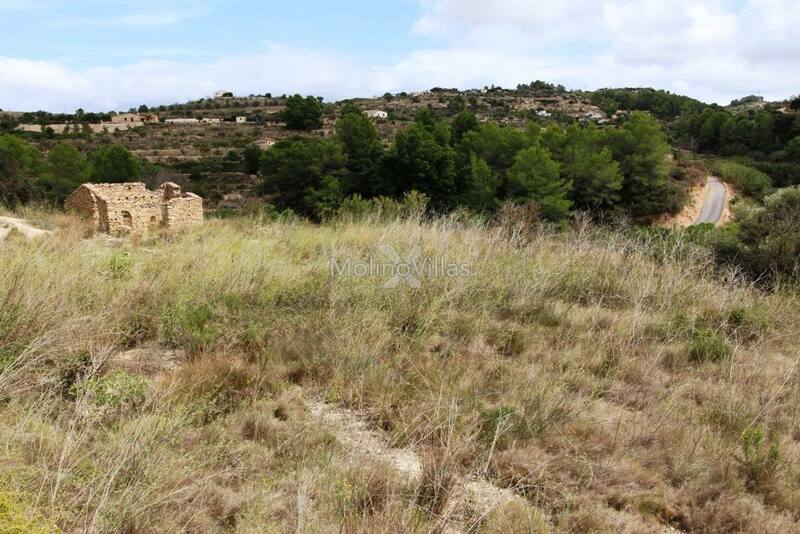 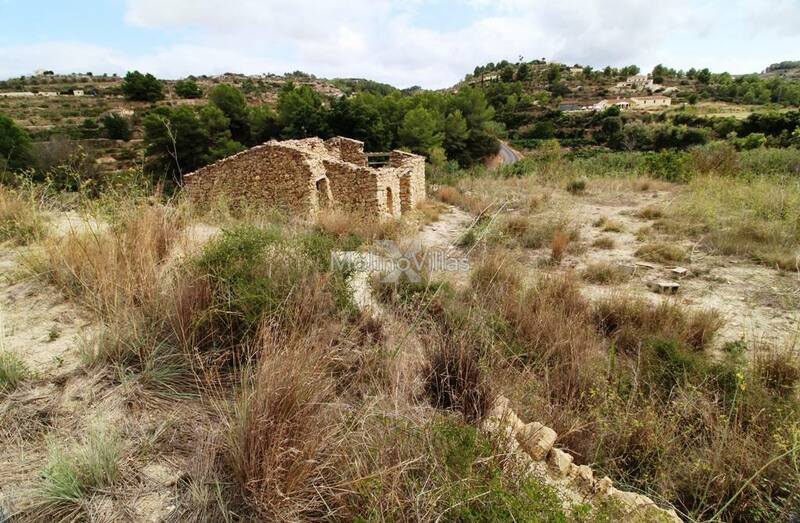 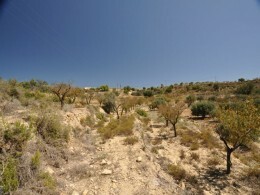 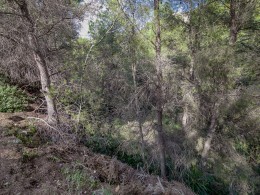 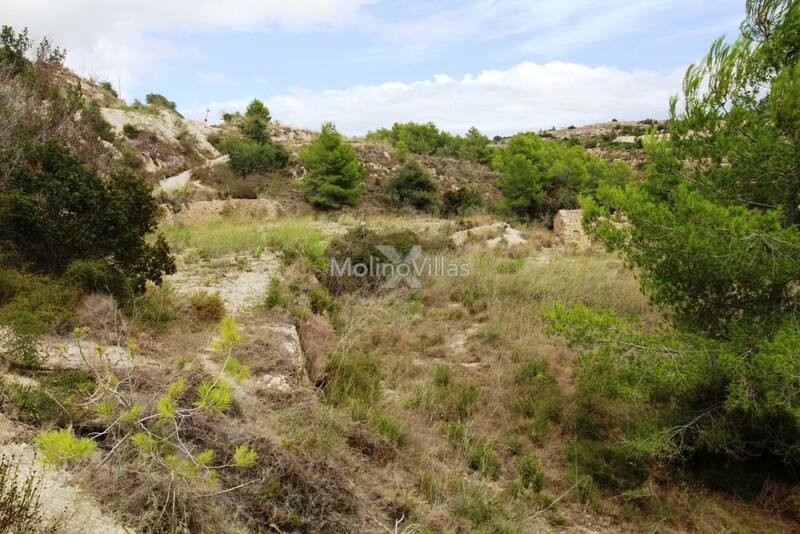 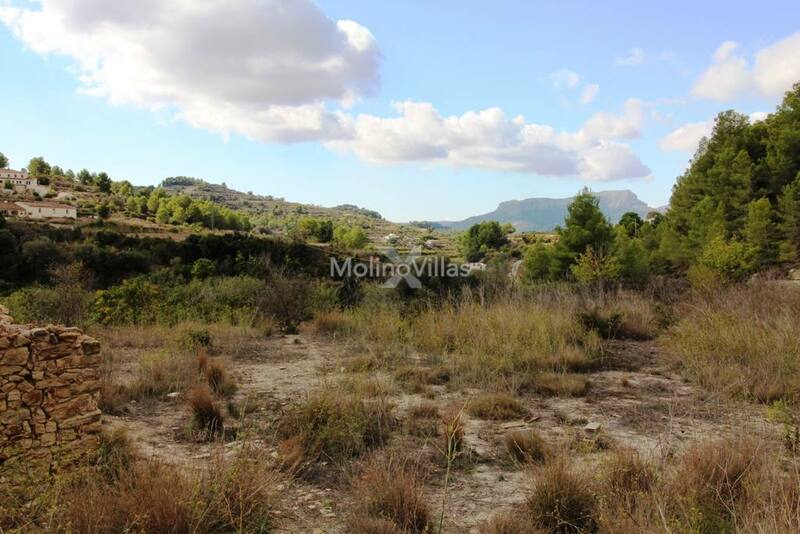 A rustic building plot of land with a large flat area around the existing ruin, located close to Benimarco & Pedramala areas of Benissa, only 2.3km to a local shop, 7.9km to the Town of Teulada and 10km to the Blue flag beach in Moraira, the nearest beach is at Baladrar. 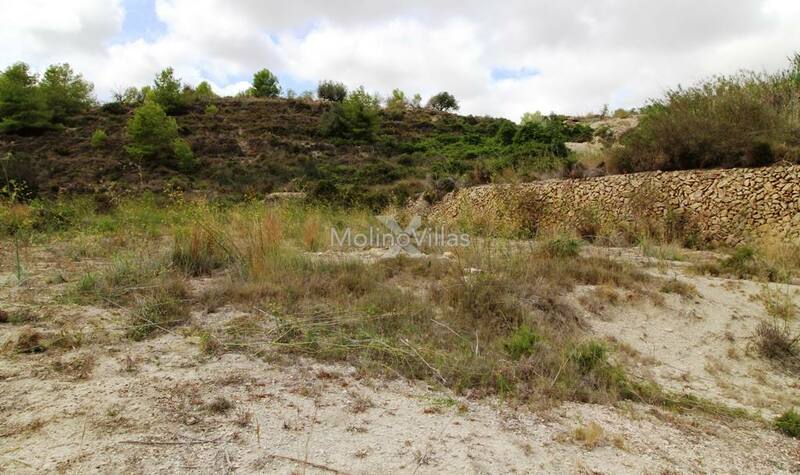 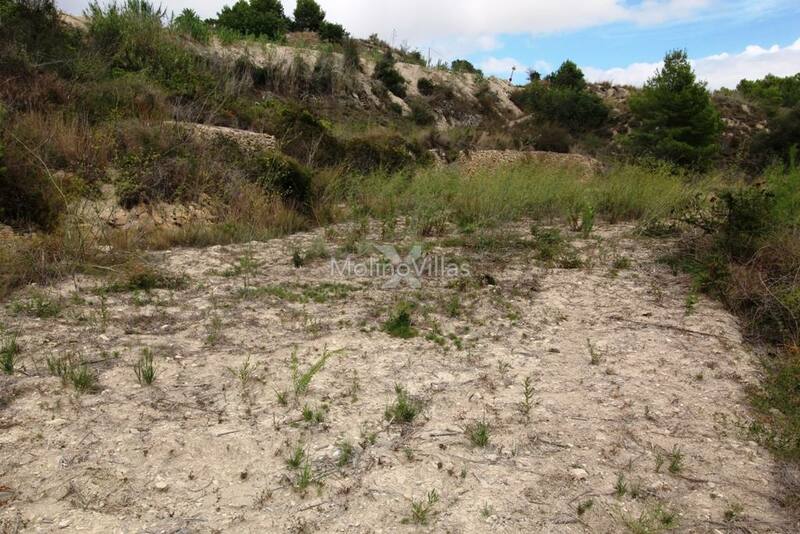 A total surface of 11.661m2 this plot has the capacity to build your dream home in a perfect, peaceful location with a maximum construction size of 442.96m2. 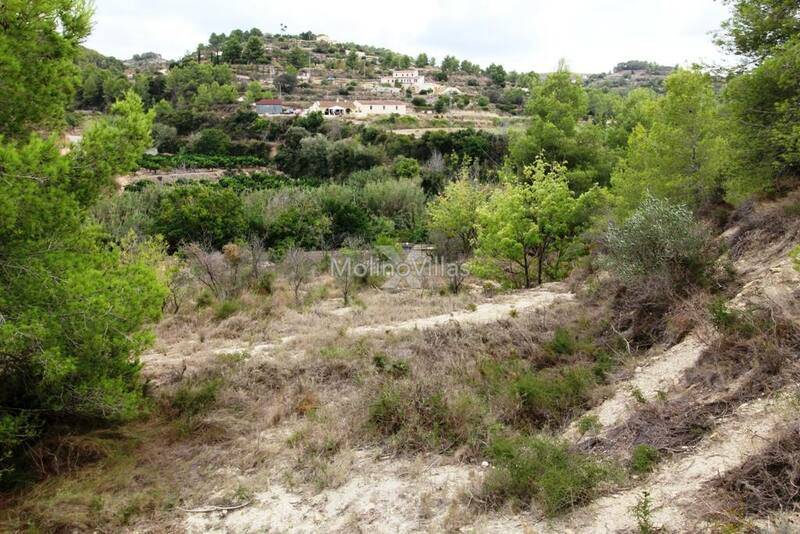 Planning permission to reform the Finca and extend the build surface. 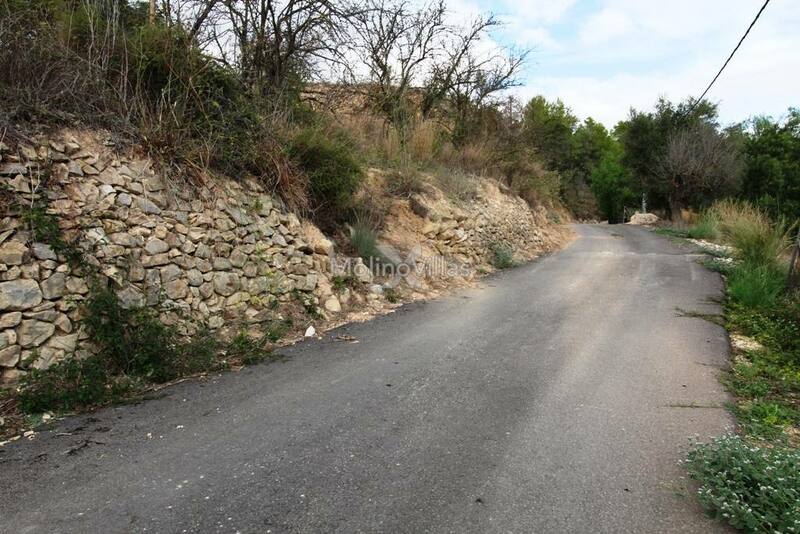 Two potential entrances to the plot one on the lower road the other on the upper road with a tarmacked section allowing the new project to connected the two dwellings that could be used to live in one and rent the other or rent both out separately with difference access. 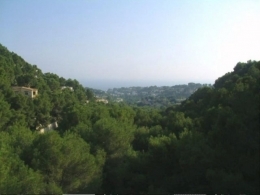 South West orientation to enjoy the breathtaking sunset over the distant mountains. 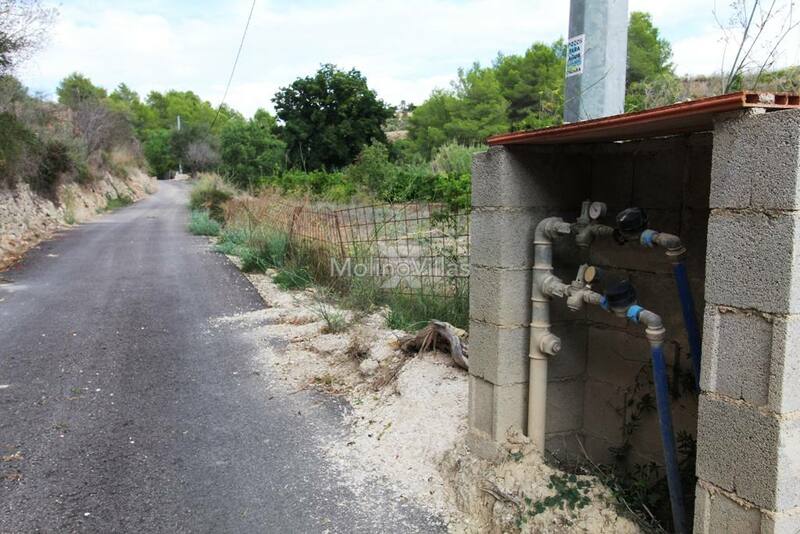 Mains Electricity and Water are on the land, just needs connecting . 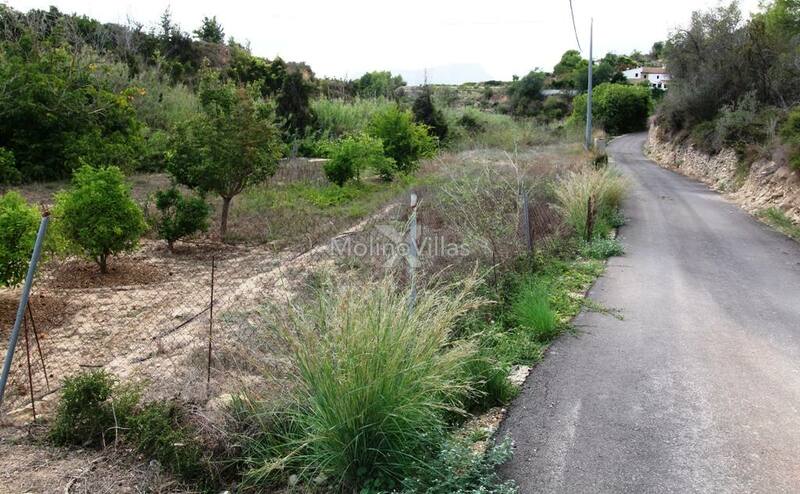 Access to the Plot via tarmac country roads passing a number of properties, so although you have the feeling of privacy you are not isolated.